There are many popular myths surrounding about dog around the world, and many of these myths are sometimes not true at all. Some myths might sound really familiar to you, but some of these myths might sound really strange and hilarious to you. To separate myths from the truth, firstly we need to know many of the myths and research it cares about the truth. So, we have done much research and compiled an article for you about 7 Popular myths about dog around the world that most people still believe to this day. Maybe some of these myths sound familiar to you, or even you believe one of this myth? Well, how about we look at it right now then? If you think you are familiar with one of these myths here, and you also believe that it is true then maybe you need to think about it. There are many myths that sometimes covered with ambiguity, with no proper or reliable source of information, and sometimes there are also a lot of misconceptions in every myth. So, here are our 7 popular myths about our dog from all around the world that are a misconception, and many people still believe to this very day, Although, some of them are hilarious if you think about it. We are here to help you sort out what is a myth and what is the truth, as there are still many myths surrounding dog, and most of them are still believed right to this very day. Make sure you read them carefully, and if you believe some of these myths are true it is okay. It is okay for you to believe it, as long as it doesn’t harm our beloved dog, or messing with other people. However, we like to give you the truth behind these myths. Thanks to the popular cartoon Tom and Jerry, many people think that dogs and cats are a mortal enemy, and can’t be kept in one house. This is an actually wrong stereotype, as cats and dogs can also get along well. Dogs and Cats don’t have any reason to be a mortal enemy, and they can also become good friends too. However, if you want to have both dogs and cats in your house make sure you introduce them properly so they can get along well without any fight. Dog wagging their tails are sometimes the sign that they’re happy, but many people misinterpret this as it only wags their tails when happy. The truth is, dogs also wag their tails when feeling other than happy, like sad, hungry, curious, and many more. A dog also has other body languages to communicate such as eyes, and ears. So, whenever you see a dog wagging their tails, don’t quickly judges that it is happy then. There are old sayings, you can’t teach old dog one or two new tricks. Many people knowing this saying will think that old dog can’t learn a new trick, and should not bother you to teach them a new trick. However, this is also not true, as an old dog can also learn many useful and cute trick like twirl, use the toilet, open the door, dance, sit down, and many more. Your old dog will love the stimulation from you, and the attention you give them while training a new trick. It is a popular belief that dog only sees in black and white, and can’t see another color like red, blue or yellow. However, contrary to this belief dogs can also see another color too. Although dog vision is different from human, as they can’t differentiate between red and yellow, and they also can’t see green. This is actually a very popular belief that cold and wet dog nose is a sign of that dog is healthy. Well, this is actually some sort of false information too. Dog nose fluctuates with the temperature around the dog, it fluctuates between warm and cold, wet and dry. Whenever you see your dog nose is warm and dry, don’t panic. It means that it just hot around them, give them shelters and cold treats. However, If you see your dog’s nose is cracked, and dry if you touch that means there is something wrong with your dog. Check on our dog’s problem article to know more about it, and how to take care of the dog’s problem. There is a belief that dogs along with cats can see and detect ghosts, Although we don’t know for sure if the ghosts exist or not in the first place. Many people still believe that dogs have a higher perception, powerful hearing and sharp sense of smell that can detect any astral beings. This is true that dogs have a very good sense of smell and hearing, but to detect even ghosts or astral entities around them? We don’t know for sure, as it might be just the wrong superstition. Who think about this in the first place, and we also wonder why many people believe it. Some dogs sometimes love to eat grass. It is perfectly normal and doesn’t have any relations with your dog’s health too. Nothing you should worry about. There are many other signs to tell your dog is healthy or not in medical terms. 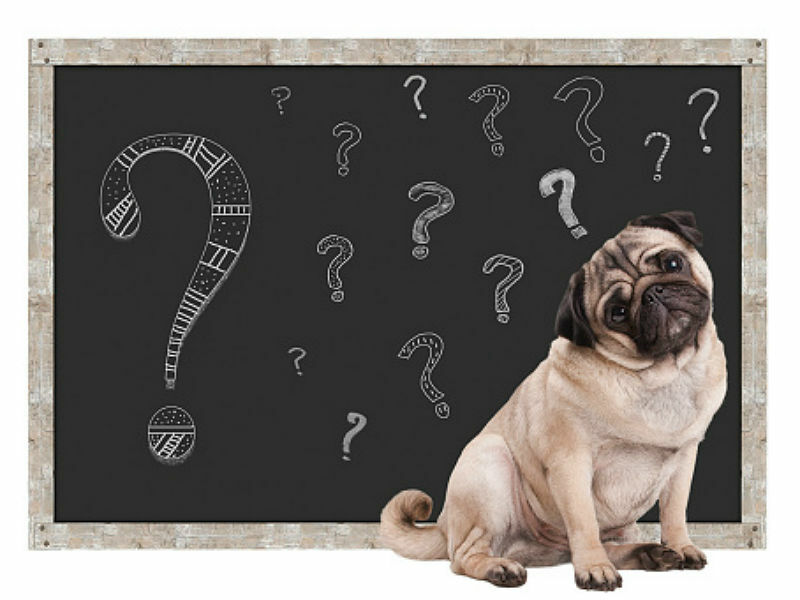 Did our article help you to open your mind on dogs popular belief and myths? We have done our research to compile these 7 Popular myths about dog around the world that most people still believe. If you choose to believe one of this myth, It is perfectly okay as long as it doesn’t harm your beloved pooch.